The wonderful life of being a Pink Floyd fan: In the flesh? 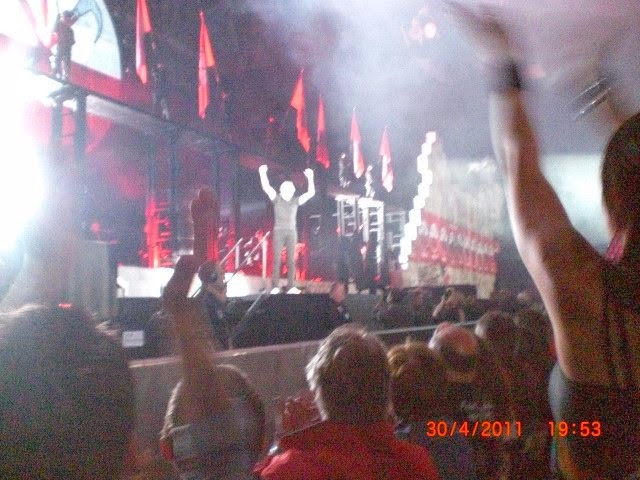 I've been listening to "The Wall" the last days, and it brought me straight back to all the live shows I've seen. I got all exited today on the way home from my school placement when I was listening to cd 2. So many great memories over the last three years! So todays blog will be about the opening song "In the flesh". 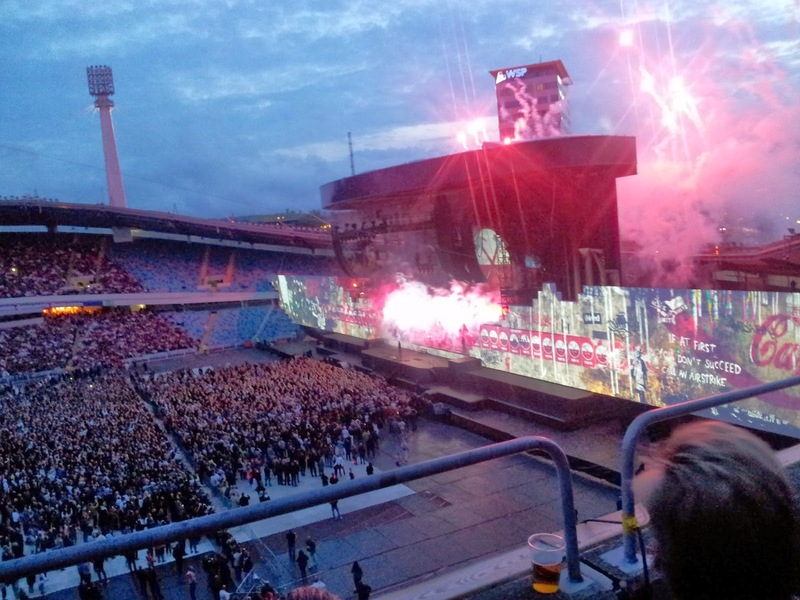 When you are sitting in a stadium, waiting for something as great as Roger Waters and The Wall, it's hard to be calm. After a few shows, I learned which pre-songs that would come up next. The pre-songs were for example "Mother" by John Lennon and "Master of war" by Bob Dylan. And after all the pre-songs - there came two men on the stage with "Pink" between them. The first time I saw it, I was surprised, and I didn't expect it! Then you could hear the low sound of "Outside the wall" before they started with "In the flesh?" with a bang! Wow, so many effects and the sound were perfect - almost every time! The ending is also great, where the airplane came flying over the stadium and then crashed in the wall! "In the flesh?" is a song by Roger Waters - like most of the songs on the album. The precence of a question mark immediatley establishes a mood of uncertainty. The theme is highlighted by the appearence of a surrogate Pink Floyd -"Tell me is something eluding you sunshine? Is this not what you expected to see?". The amazing thing about this song, is that during this song, Roger will enter the stage! The first time I saw him during The Wall, I cried like a baby! I just couldn't stop. Happy tears - of course. Roger said this about "In the flesh?" "In the flesh? is a reference back to our 1977 tour, which was called 'Pink Floyd in The Flesh'. That was the logo we used for the tour. That is supposed to set the whole thing up. On the album, I can't imagine anyone would actually get that because when we do the show, at this point we should be recognisable but disguised". Well, I'm ending the blog here today, because now I have to get ready for my father, who will arrive in Belfast in an hour. He came all the way from Norway to visit me, so I finally have a whiskey expert with me to different pubs. Wishing you all a lovely weekend to come! Under - you will find the lyrics and a youtube clip of the song. Enjoy! Tell me is something eluding you sunshine? If you wanna find out what's behind these cold eyes?